Calcium is vital for making your baby’s bones and teeth. Dairy products and fish with edible bones - such as sardines - are rich in calcium. Breakfast cereals, dried fruit - such as figs and apricots - bread, almonds, tofu (a vegetable protein made from soya beans) and green leafy vegetables - such as watercress, broccoli and curly kale - are other good sources of calcium. The recommended dietary intake of calcium per day for pregnant women over 18 is 1000 mg, and 1300mg for teenagers aged 14-18 years. If you don’t eat enough calcium in your daily diet, you should take a calcium supplement of at least 1000mg per day. 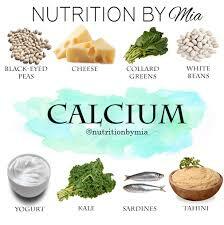 Calcium in combination with Vitamin D are complementary in maintaining bone health. 1... I have seen birth defects due to calcium deficiency..